"In the jungle no micro environment is left unfilled for long. The death of one leads to the growth of another. Here the vine is taking over, growing around and through the remains of a once thriving plant species." 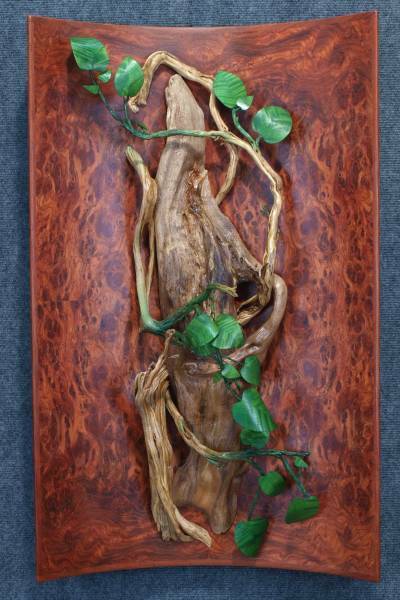 This piece is built on a concave face of highly figured bubinga burl. 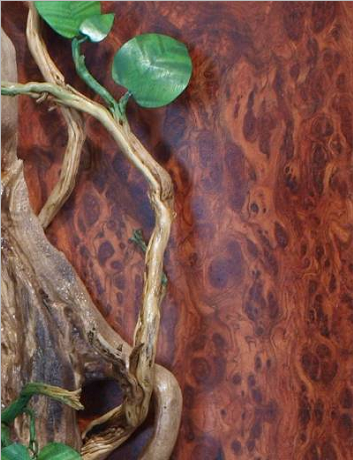 The burl has a very intense vine like depth and incredible figure. 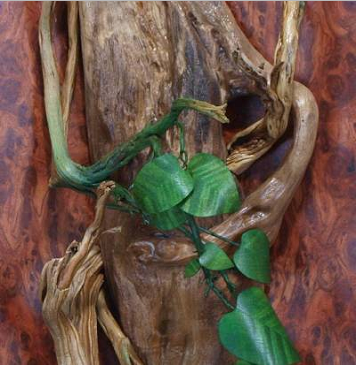 The heavier structure in the center is a shaped and carved driftwood piece that has a very interesting "arm" that comes out of the right side. The circling vine is made from sagebrush, movingui and aniline dye. The piece has a satin lacquer finish on all but the leaves which have a high gloss lacquer finish.